1 in 4 of Alabama's children do not know where they will get their next meal. According to the USDA, food insecurity occurs when people lack access to sufficient, safe, nutritious food due to a lack of money or other resources. Consequences of food insecurity, which may be referred to as “hunger or at-risk of hunger,” can include chronic illnesses, poorer educational outcomes, and decreased economic productivity. Although it affects children uniquely, food insecurity is a household problem. Child hunger is one of Alabama’s biggest problems and it can be solved. We’d love to hear from you! Email or call with any questions or thoughts on how together we can better serve the children of this state. 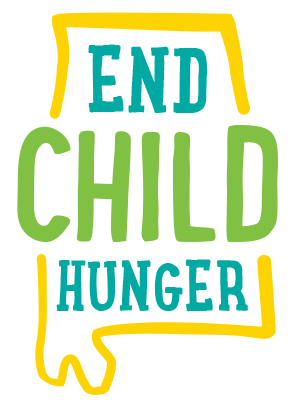 © 2019 End Child Hunger in Alabama.